The holidays are right around the corner, but Walmart won't be hiring for help. The retailer plans to meet its need for extra work during the holiday shopping season by giving existing employees more hours, according to a release from the company. Hiring seasonal holiday help is a tradition in retail. Walmart (WMT) rival Target (TGT) has already announced plans to bring on 100,000 temporary holiday workers. But Walmart's move is a sign of the tightening labor market which has made it difficult for employers to fill open positions. There were a record number of unfilled job openings nationwide in the latest government reading of the labor market. More than 600,000 of the open positions were from retail. 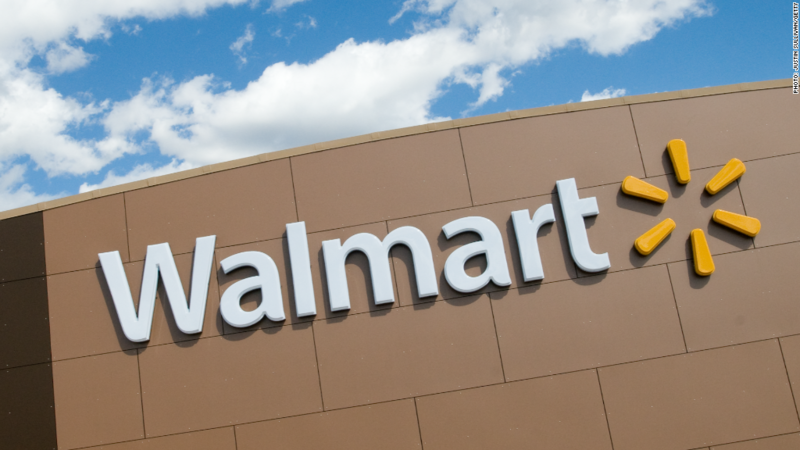 It also can be seen as part of the effort by Walmart, the nation's largest private sector employer, to make jobs there more attractive and to cutdown on turnover. The company announced a series of pay raises for its lowest paid employees in early 2015, which took the minimum pay for most employees to $10 an hour by last year, and the average pay for its full-time workers to about $13 an hour. Part-time workers are paid about $10 an hour on average. Walmart says it employed the same strategy of more hours for existing employees during the holidays last year and "we heard great feedback from our customers and associates," according to Judith McKenna, chief operating officer of Walmart U.S.
Walmart had 1.5 million U.S. employees as of Jan. 31, according to a company filing.